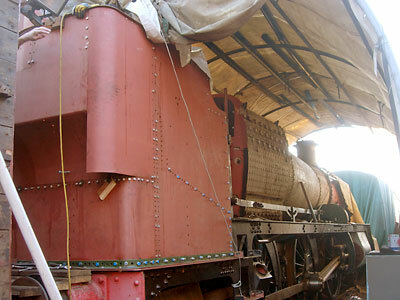 Further progress with the bunker assembly, with photos taken by Tony Summerton on 18 February 2012. 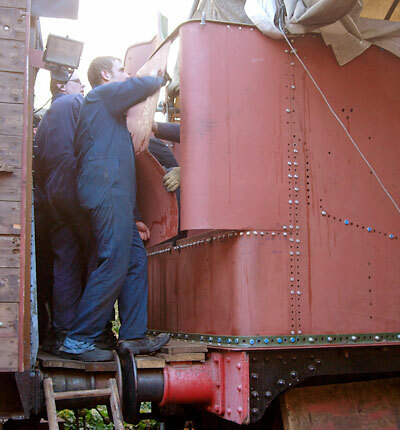 Trial-fitting the large double-radiused rear sheet. Three-quarter view of the new bunker. The corner sheet is work in progress, not a new type of smoke deflector for working backwards! 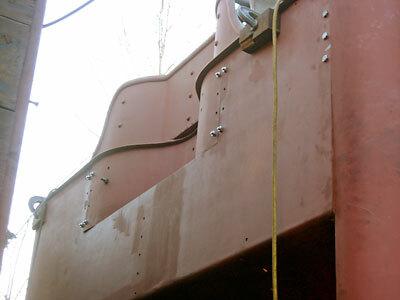 Top of the bunker, showing the recess behind the lamp bracket (yet to be welded on). A lot more drilling is required on the large sheet. 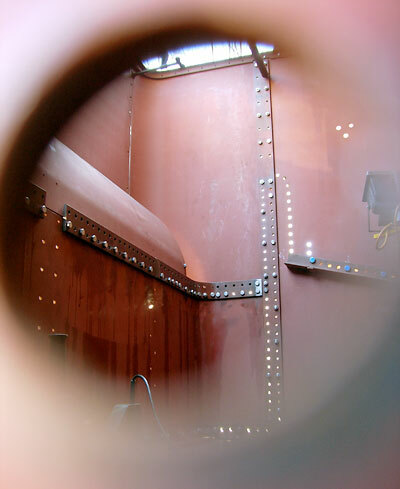 An unusual view of some of the internal structure of the bunker, without baffles or coal plate, taken through a rivet hole!